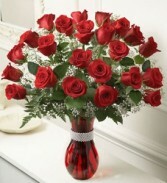 2 Dozen Long Stem Ecuadorian Roses In a Glass Vase. The classic, timeless rose arrangement!. 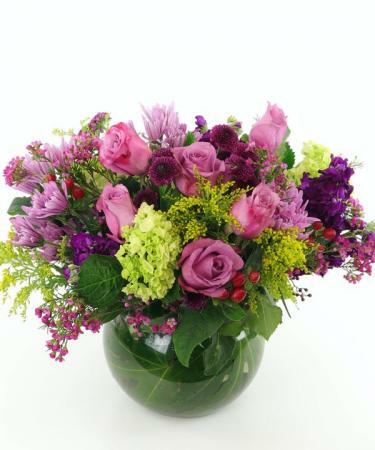 You can never go wrong if you pick this arrangement. Up, up and away! Take that special someone's birthday to new heights with this happy arrangement and mylar balloon. 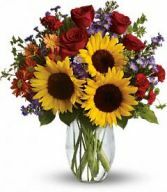 Bold primary colors and a deep blue vase make it a great pick for sending birthday cheer to men.Up, up and away! 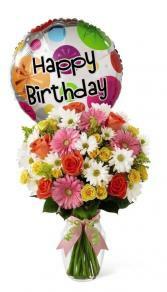 Take that special someone's birthday to new heights with this happy arrangement and mylar balloon. Bold primary colors and a deep blue vase make it a great pick for sending birthday cheer.